It may be that when you think about a personal shopper you think about someone who goes shopping for a rich person that just doesn’t want to be bothered with the chore, but this is simply a misconception. 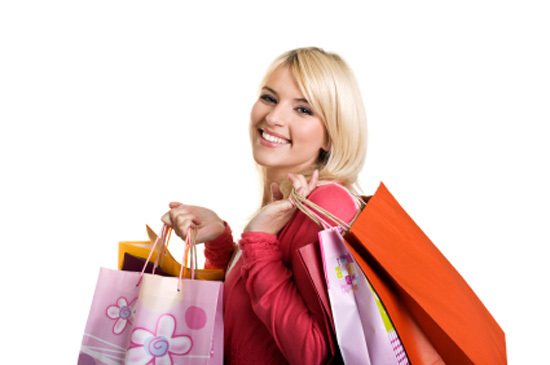 A personal shopper is someone who can offer you advise on your fashion sense, or lack thereof, your hair style, what to give as a gift, go shopping with you to help you determine what looks good and what does not, or even be given free rein to shop for you and create a new look for you. Personal shoppers are not just for the rich anymore and are now plentiful and many are very affordable, so how do you go about choosing one? • Make sure you like the person: This can be done in the initial consultation. Make sure that you get a good feel for the personal shopper as you have to be comfortable with that person ultimately choosing certain items on your behalf. If you dislike the person who will be making fashion decisions for you as a person, then chances are you will dislike their taste in clothing as well. • Look online: Like everything else these days, you can find plenty of personal shopper services on the Internet with a simple search. This is a great place to start and you are bound to find a few qualified companies in your area. • Charges: Many personal shoppers will offer a discounted or even free consultation, but then hit you with higher than normal charges once you have hired them. Be sure to ask exactly how much the service will charge for what you want done. Most services charge on a per item basis so never assume that one price is all inclusive. • How often do you have to use them: Some personal shoppers will offer a lower rate but will also want you to sign a contract committing to using them four or more times per year. If you plan on using your personal shopper a lot this can be great, but if not, calculate the cost because it may cost you more in the long run. • Ask for references: If you already know someone who has used a personal shopper in the past by all means ask them their opinion. If you do not know anyone who will give you a word of mouth reference then ask the service you are considering to provide you with some references. • Make sure you get ‘approval or return’: This is important to have and may cost you a bit extra, but if you don’t get it, you will be stuck with whatever your personal shopper buys on your behalf, whether you like it or not. Just because you are behind in the fashion times or you simply don’t have time to go shop for yourself, doesn’t mean you should be embarrassed. If you are like most people, you probably have enough to worry about without thinking which designer shirt goes with what. With the ease and affordability of a personal shopper these days, it is better to sit back, relax, and let them worry about your fashion for you.